OFFICERS, COMMITTEES & MEETING DATES. These officers terms will run from June 2014 to Jun 2015. 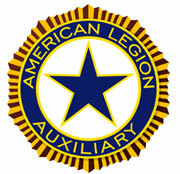 Monroe County Auxiliary meetings are held the 2nd Thursday of April, May, and June at Harvey C Noon Post and July, Aug, Sept at Chili Post at 7pm. Anyone who represent her post is encouraged to attend. May 12 County Meeting-7:00pm. @ Chili Post Service. June 18 County Banquet 5pm. June 20-25 Empire Girls State @ SUNY Brockport. July 16-22, Department Convention @Syracuse, N.Y.